This is the most atmospheric techno I’ve heard since Chain Reaction was active. Beatless “Diacedita” sets the tone with soft digital wind and liquid-like static. On “Sigh of Field,” the bassline sounds like a train pulsing along tracks. “The Thing You Hate Me for Is Also a Part of the Rest of Me You Love” is a slow-building study in angst with distorted thumps that get faster and louder like the footsteps of an approaching beast. It’s Porter Ricks gone horribly (wonderfully) askew. “Nyt Revisited” is an ode to surface noise. A glimmer of synths weaves in and out of vinyl cobwebs over a steady beat. The percussion drops out at the seven minute mark, leaving the listener temporarily rudderless. A plane passes overhead. Street sounds and a boom box come and go. It’s a brilliant track (presumably based on “Nyt” off the Kavel EP). http://charlotteskitchendiary.com/cookies/ “Frame Math” has organ-like tones and deep bass. “Revelation 21:1” is incredibly subdued, bringing background noise to the foreground over a buried metronome. Finally, “A Song for Jonas” builds to a crescendo of feedback, then thumps out like a piece of malfunctioning equipment. Buy 15 Mg Phentermine Uk Online Blamstrain’s initial releases were all MP3s, but he’s getting plenty of label love now. From dancefloor-friendly techno to deep electronic dub, he has both range and talent. 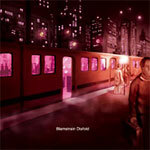 Blamstrain realesed a good “atmospheric techno” album on Merck a couple of years ago. In my opinion, Disfold is a lot better than Ensi.